Having graduated with a Bachelor’s degree in 2007 Andy became an environmental consultant working on effluent characterisation projects, re-drainage schemes and contaminated land studies. More recently, Andy became involved in research and development undertaking a PhD in environmental science at Lancaster University which was subsequently awarded further funding through the Natural Environment Research Council (NERC). 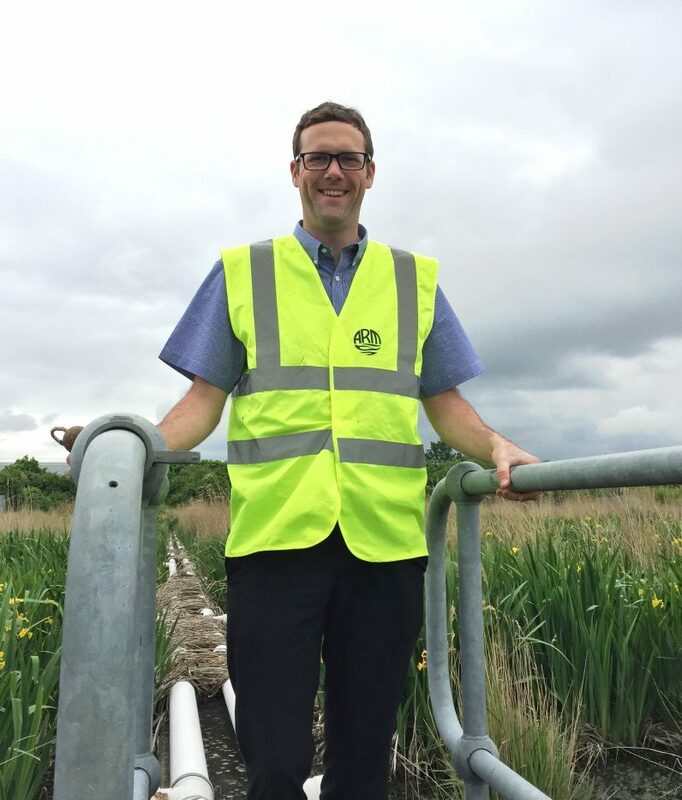 Andy worked as a senior technician within the water services department at Manchester Airport, before joining the ARM team in 2017, after initially working on a part time basis in 2016 undertaking monitoring and maintenance of the Mayfield Farm aerated wetland system at Heathrow Airport. Having strong data analysis, interpretation and report writing skills, Andy’s role will involve supporting the field services team, whilst providing consultancy services and undertaking research and development. Away from work Andy is a passionate angler spending countless hours in pursuit of huge Carp. A former qualified angling coach, Andy now volunteers as the Fishery Manager for Stoke-on-Trent Angling Society, co-ordinating work parties, fish surveys, stockings and Environment Agency Permits. Andy dislikes sitting on the sofa watching TV and much prefers trudging through the mud in the great English countryside, with a lake, river or fishery never too far away!